OttLite LED Mini Flip Light Giveaway - 3 Winners on Moogly! It’s dark times – the middle of winter! Early evenings are perfect for cozying up with crochet and knitting projects – but you need a good, bright, light to stitch by. Enter the OttLite LED Mini Flip Light! It’s the tiniest OttLite, perfect for crafting by, no matter where you settle down to work. 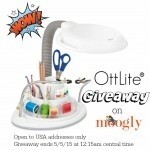 And we’re giving away 3 OttLite LED Mini Flip Lights on Moogly! Disclaimer: This giveaway was sponsored by OttLite, but all opinions are my own. 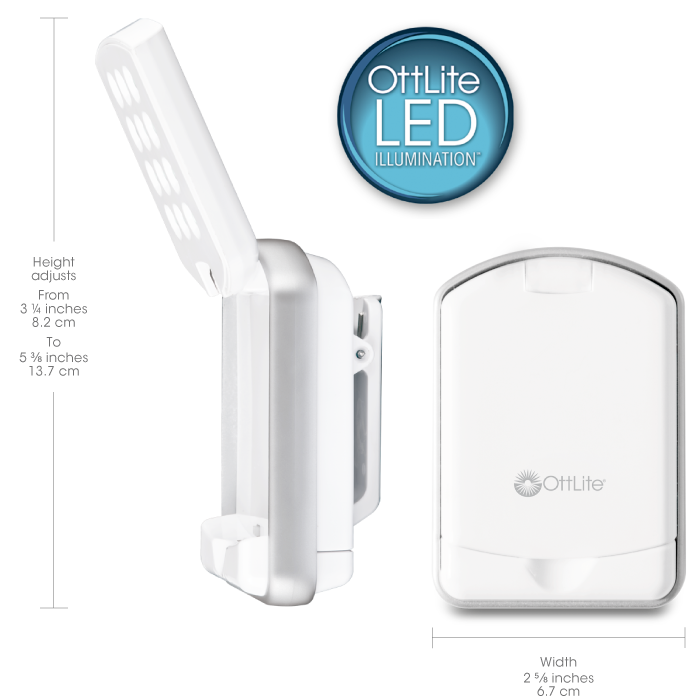 The OttLite LED Mini Flip Light is a huge light in a tiny package – 12 LEDs packed into just a couple inches! The battery-operated Super Bright Natural Daylight LEDs turn on as soon as you open the lamp – no fumbling in the dark needed! 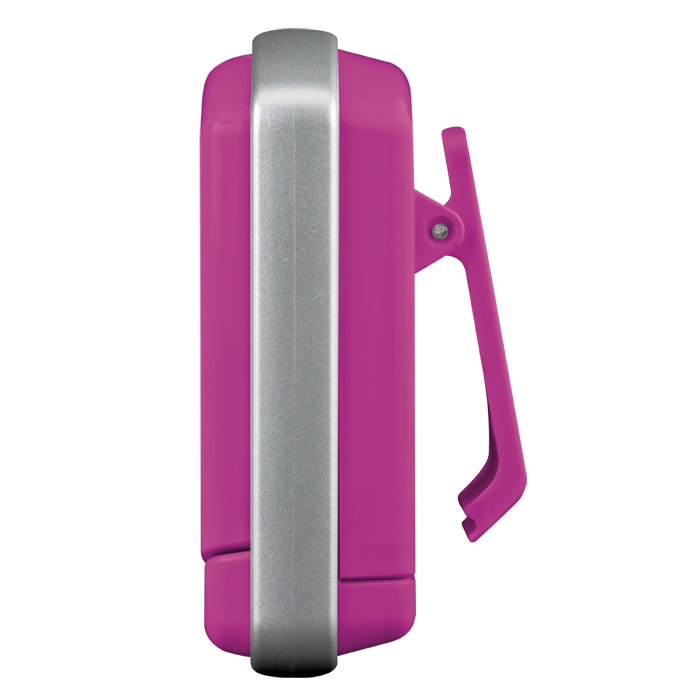 Designed to clip on your bag, collar, or wherever you need it – great for crafting, of course, it’s also super handy for camping, traveling, color matching on-the-go… any emergency lighting situation. I’ve even clipped mine to a hotel room mirror for a makeup light when I was in a pinch – worked great! And just because they can, it comes in a variety of colors! I have different ones for different project bags – so I’m always prepared! 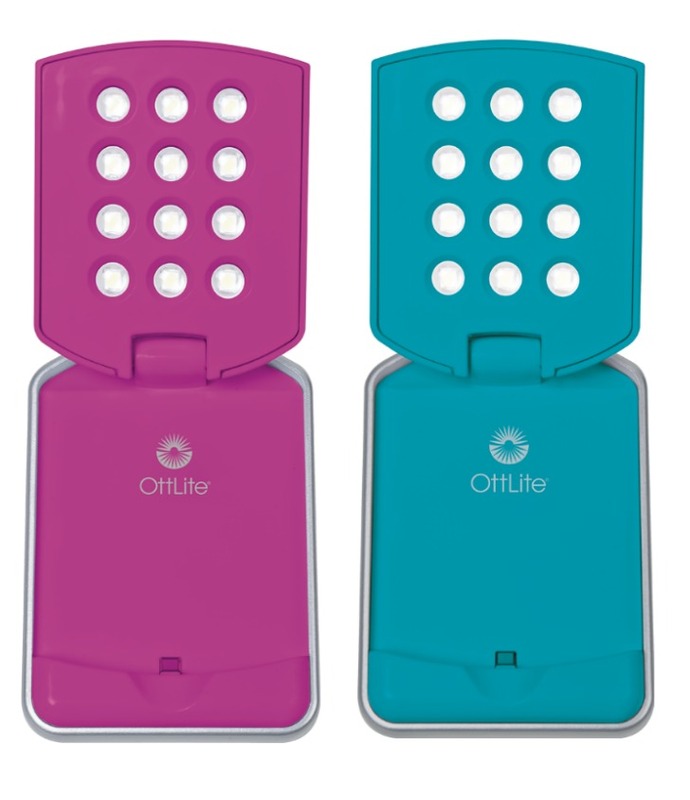 The OttLite LED Mini Flip Light is rated to last up to 40,000 hours, and is one of the handiest things you can own! Perfect for the project bag and the purse, you can pick them up at your local JoAnns, Michaels, directly from OttLite – use Coupon Code MOOGLY for 25% off thru 6/30/2019! (Cannot be combined with any other offers.) You can also get them at Amazon US, Amazon CA, Amazon UK, and Amazon DE. 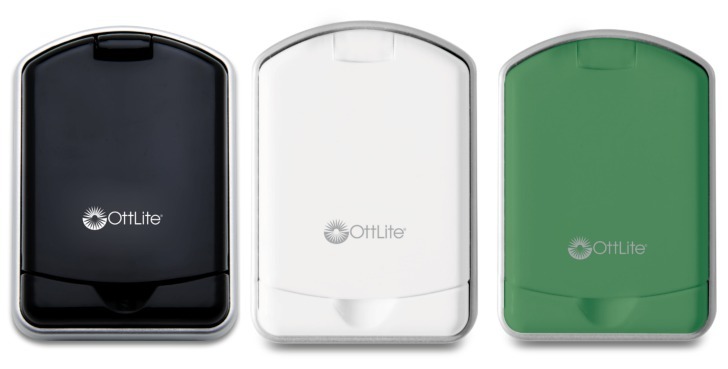 And now let’s give an OttLite LED Mini Flip Light to each of 3 very lucky winners! 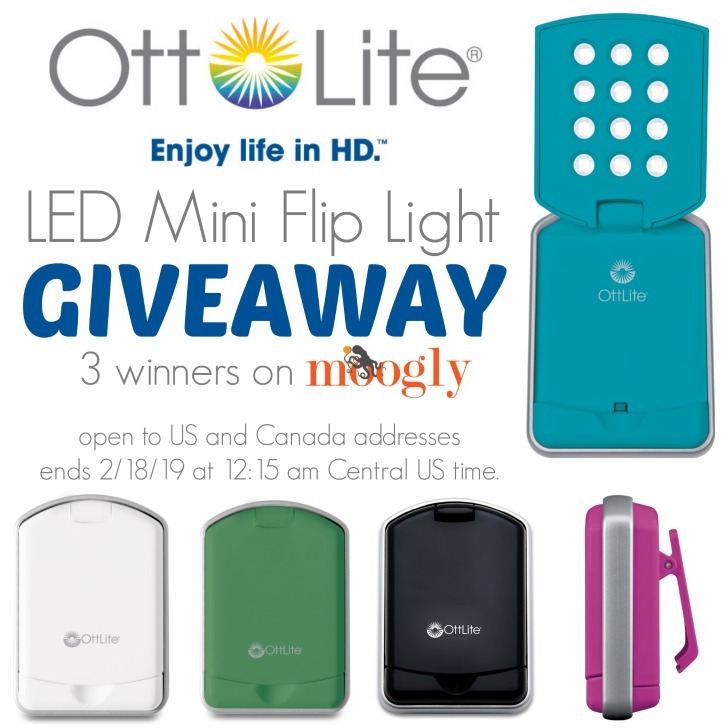 The OttLite LED Mini Flip Light Giveaway on Moogly is open to USA and Canada addresses and ends 2/18/19 at 12:15 am Central US time. If you are on mobile and have difficulty entering, please use a desktop computer to enter. Only the email option is mandatory – all other tasks are optional, for bonus entries only. Good luck, all! Get Moogly-fied on Facebook, Twitter, Pinterest, Instagram and Tumblr! And sign up for the free newsletter at the top of the page so you don’t miss a thing! Thank you to OttLite for sponsoring this post. An Out of This World OttLite Giveaway on Moogly! 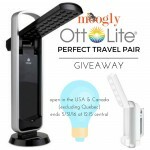 OttLite Perfect Travel Pair Giveaway on Moogly! 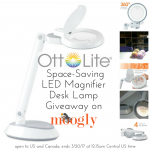 OttLite Space-Saving LED Magnifier Desk Lamp Giveaway! 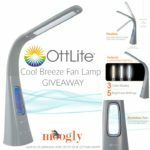 OttLite Cool Breeze Fan Lamp: Giveaway! I ordered 2 flips and a booklight from Ottlite. Thanks for the coupon! I have not heard of the OttLite before. Thankyou for bringing it to my attention. I hope I win one, if not then I will be purchasing in the future. I have problems seeing this light would be a wonderful addition to my crocheting. The OttLite LED Mini Flip Light appears to be very VERSATILE!! So many ways to use it – I would have fun using it in many of the different options. Hope I win. Thank you. I have a question about entering to win the giveaways. If you have several going on at a time, ie., the Ottlight and Stickers, and you use your email address to enter for one, are you automatically entered for all giveaways? Thanks, Tamara! Maybe I’m just doing something wrong. When I enter for one, it says I have 5 out of 8 entries, then when I go to the page to enter the second one, it already shows I have 5 out of 8 and the box to enter your email address is not available. By the way, I LOVE your tutorials! They have either straightened me out on something I was doing wrong, cleared up massive confusion on my part of simply taught me something new. They’re so straightforward and easy to understand! I didn’t know about mini OttLITE! I hope I can win!! !